The Caltech Jazz Band rehearses one night a week, followed by an informal improvisation class. 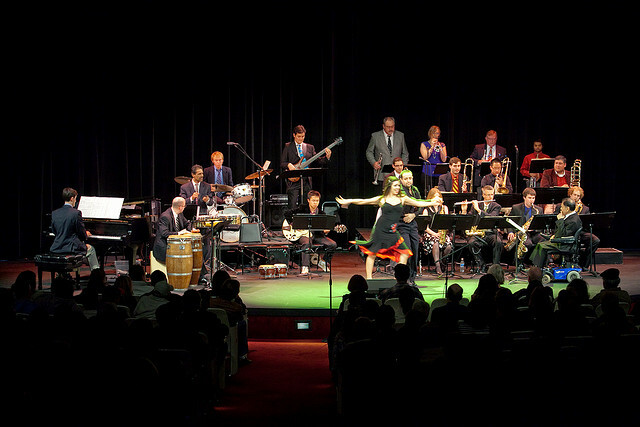 Local jazz professionals often stop by to perform with the band as guest artists, as well as offer clinics. Past clinicians include members of Gordon Goodwin’s Big Phat Band, Big Bad Voodoo Daddy, the Brian Setzer Orchestra, legendary composer Bill Holman, and members of the great Count Basie and Duke Ellington Orchestras. Artists who have played with the bands include: Wayne Bergeron, Andy Martin, Billy Childs, Steve Houghton, Bill Watrous, Bobby Shew, Gary Foster, Sal Lozano, and Greg Bisonette. The Jazz Band’s latest CD, The Capitol Sessions, was recorded at the infamous Capitol Studios in Hollywood.